Francisco Yglesia was born just outside the small town of Caraguatay in Paraguay. 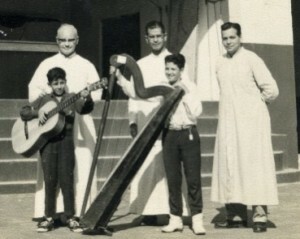 At only four years old, Francisco learnt to play the guitar, before moving on to the harp at seven. His school days were spent very happily at a Roman Catholic Monastery, and it was whilst he was still at school that his musical career began: he turned professional at the age of just eight. 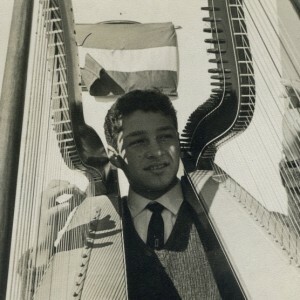 In 1965, when Francisco was fifteen, he entered the National Folk Music Festival in Paraguay, playing the Paraguayan Harp his father had given him. The same year, he represented Paraguay at the 2nd Festival Latino Americano del Folklore in Salta, Argentina. Francisco won a gold medal (first prize) for Paraguay and was given a special trophy for being the youngest contestant in the event. The following year Francisco was chosen to represent his country again, where he won another gold medal for his solo performance. Winning these two festivals meant national acclaim for the young boy… he was now famous! Well-known Paraguayan group ‘Los de Tauro’ approached Francisco to join them in Spain, his first step into Europe. 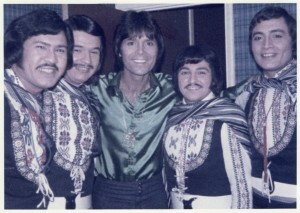 Later came the world tour which bought Francisco to the UK, where the group eventually parted before Francisco joined the famous group ‘Los Paraguayos’ for a world tour including television appearances in the UK (‘Sunday Night at the London Palladium’ and ‘Pebble Mill’), and several concerts at the Royal Albert Hall for theRoyal Command Performance. 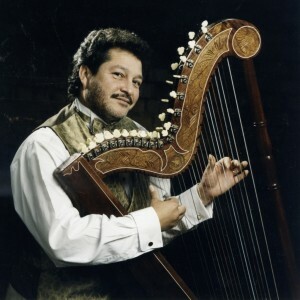 After just one year Francisco went solo, and recorded his debut single and album for Music for Pleasure – ‘Shimmering Harp‘. Since then he has gone on to record several more albums on Compact Disc. In 2009 he recorded his latest album, ‘Este es Francisco Yglesia‘, which was released digitally, worldwide, on 12th April 2010. It will be available on Compact Disc in 2013. Today Francisco is based in Surrey, UK, with his wife and personal manager Dawn. He performs his music regularly, to the delight of audiences across the globe.